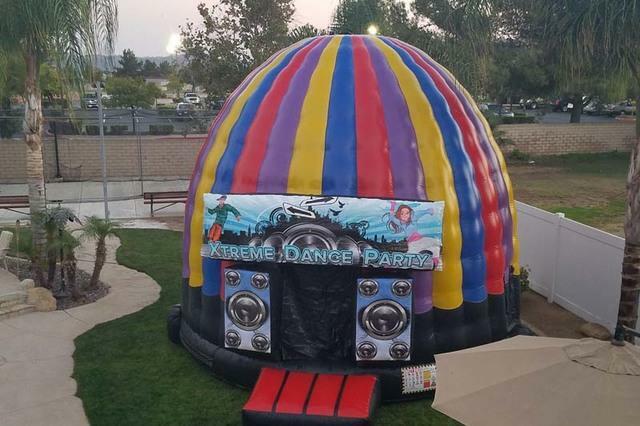 Our new large Disco Dome will certainly be the center piece at any teenage or adult’s party.There is no need to hire a DJ as this fantastic inflatable has its own sound and lighting system allowing you to ‘shake your moves’ in the privacy of your own house. The built in high quality amplifier and speaker system can be connected via bluetooth or lead to your phone or tablet so you can listen to your favorite music. Alternatively you can play music direct from a USB memory stick.The sound activated disco lights create amazing effects so it really will feel like having your own enclosed disco.